C6 Corvette Flowmaster 3.5" quad round tips Filler Panel. This panel is a two piece kit. Once installed the panel looks like one piece. 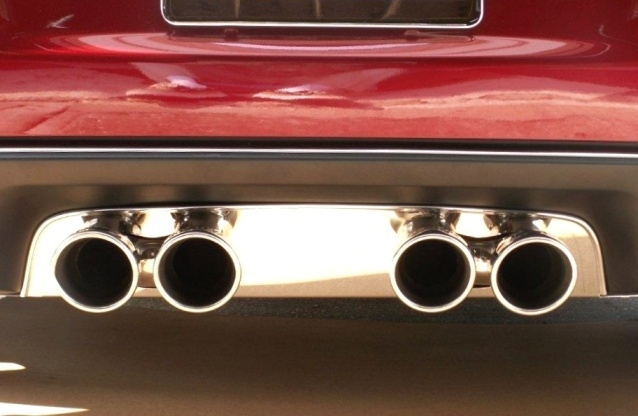 This is a great updgrade to your Flowmaster exhaust. Made of Polished Stainless steel. Installs in minutes.